Paragraph 67 of United Nations General Assembly resolution 70/1 recognizes the role of the private sector in development and calls upon its contribution: “Private business activity, investment and innovation are major drivers of productivity, inclusive economic growth and job creation. We acknowledge the diversity of the private sector, ranging from micro-enterprises to cooperatives to multinationals. We call upon all businesses to apply their creativity and innovation to solving sustainable development challenges. We will foster a dynamic and well-functioning business sector, while protecting labour rights and environmental and health standards in accordance with relevant international standards and agreements and other ongoing initiatives in this regard […]”. The need for partnerships is recognized in Sustainable Development Goal 17: Strengthen the means of implementation and revitalize the Global Partnership for Sustainable Development. 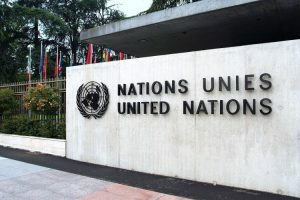 This implies more qualitative and quantitative engagement of the private sector in the implementation of the 2030 Agenda, an enhanced impact of the United Nations values and objectives, in particular related to sustainability, on the business models of private companies, advances in the engagement of businesses from corporate social responsibility to direct contributions to the realization of the Sustainable Development Goals, or expansion of for-profit actors’ activities in areas which were usually addressed by public entities.